Dark black garnet color. 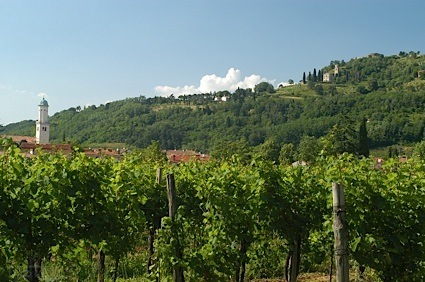 Aromas of ripe cherries, leather patina, creme de cassis, ginseng, and tar with a silky, crisp, fruity medium body and a warming, medium-length blackberry handpie, raspberry leaf, and fine carpentry finish with medium, grippy tannins and moderate oak flavor. This is a sturdy yet elegant malbec, with a long and persistent finish that shows off hints of restrained fruit, herbs and spices, with well integrated oak. Bottom Line: This is a sturdy yet elegant malbec, with a long and persistent finish that shows off hints of restrained fruit, herbs and spices, with well integrated oak. 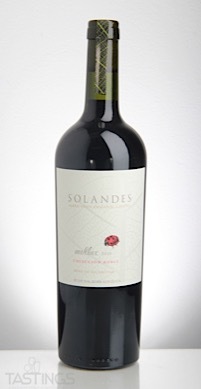 Solandes 2015 Coleccion Roble, Malbec, Mendoza rating was calculated by tastings.com to be 92 points out of 100 on 2/2/2018. Please note that MSRP may have changed since the date of our review.